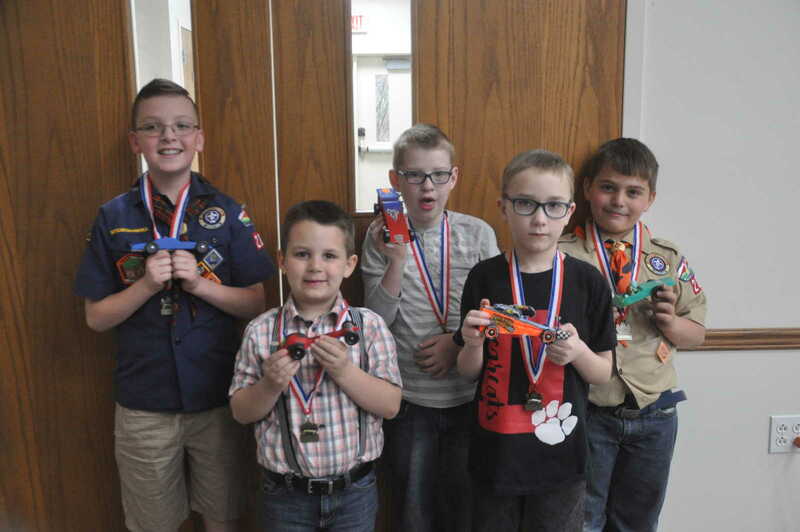 Dexter Cub Scout Pack 200 held its 2019 Pinewood Derby at the United Methodist Church in Dexter. Scouts competed in five divisions followed by a race between the division winners to determine an overall winner. A special sibling race took place allowing siblings to challenge each other. The den leaders then took to the track for their own competition. 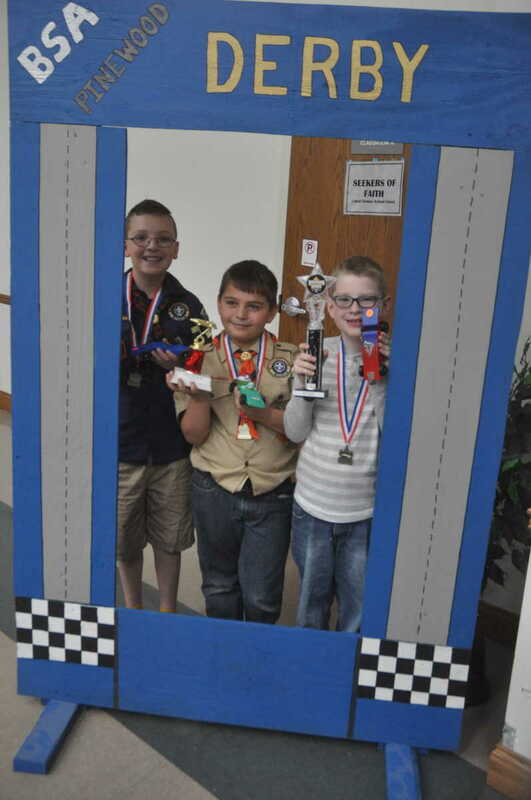 The top three overall Dens competition the winners were: First Place Eben Carr (Wolf), second Trey Pedigo (Webelos) and third Percy Sanders (Tiger). 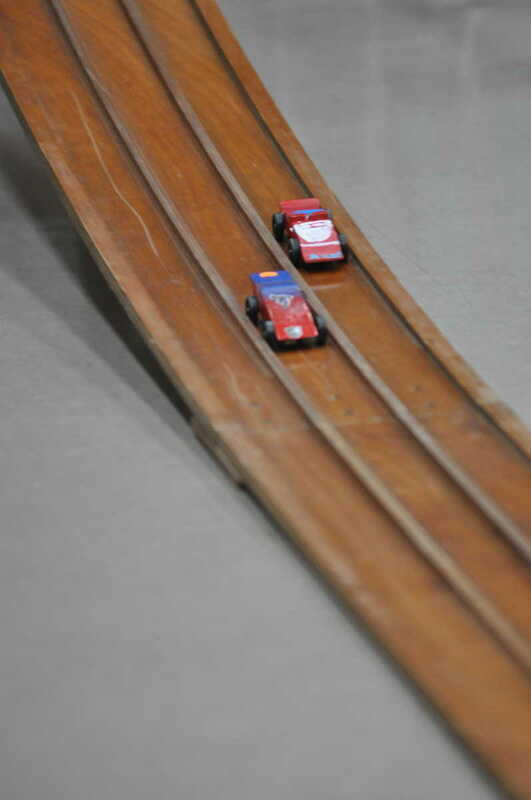 Two cars come racing down the track. In the Lions Division (kindergarten) the winners were: First place Jack Penberthy, second place Nevaeh Ridenour and third place Owen Blair. 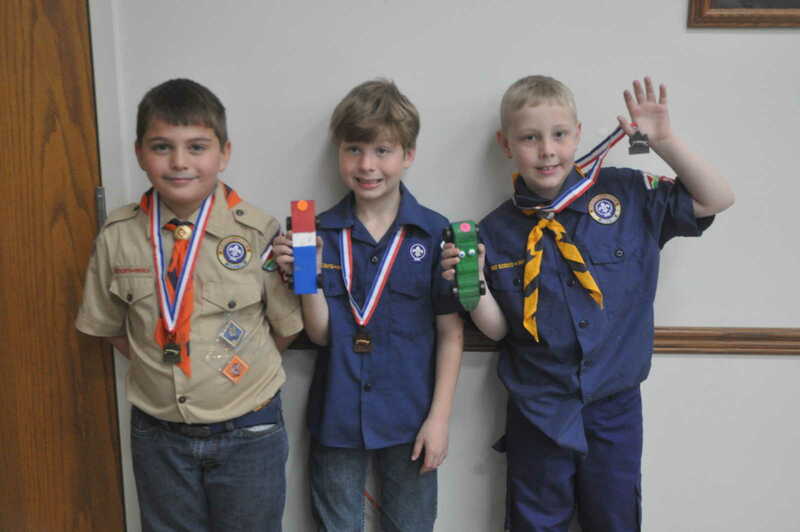 In the Tigers Division (first grade) the winners were: First Percy Sanders, Second Alex Shirk and third Joseph Sturgeon. 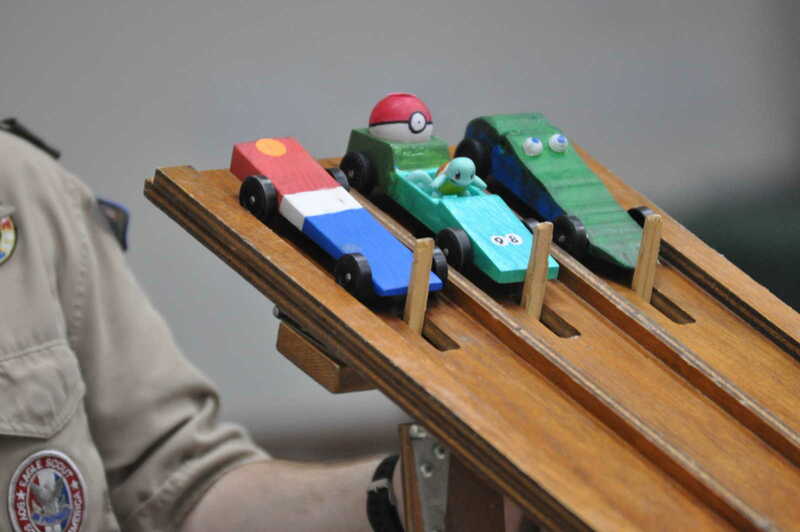 Three cars are loaded into the starting gate ready to race. 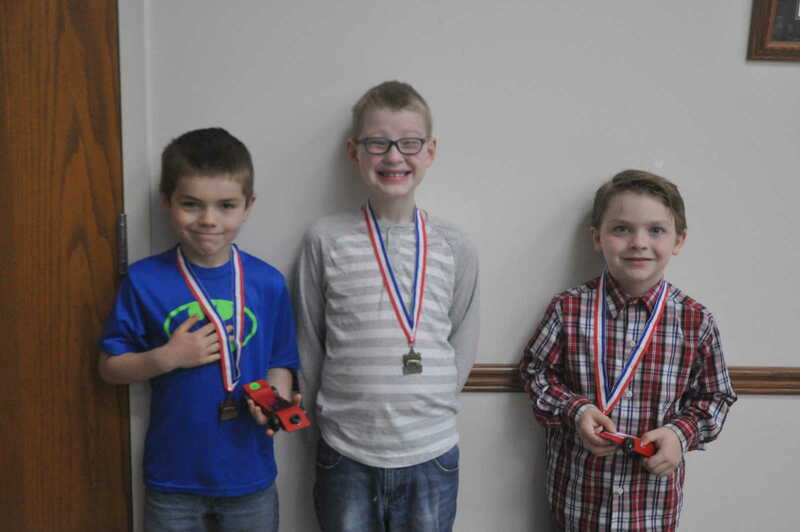 In the Wolves Division (second grade) the winners are: First Eben Carr, second Kenton Barber, third Hunter Nation and fourth Andon Ridenour (not pictured). 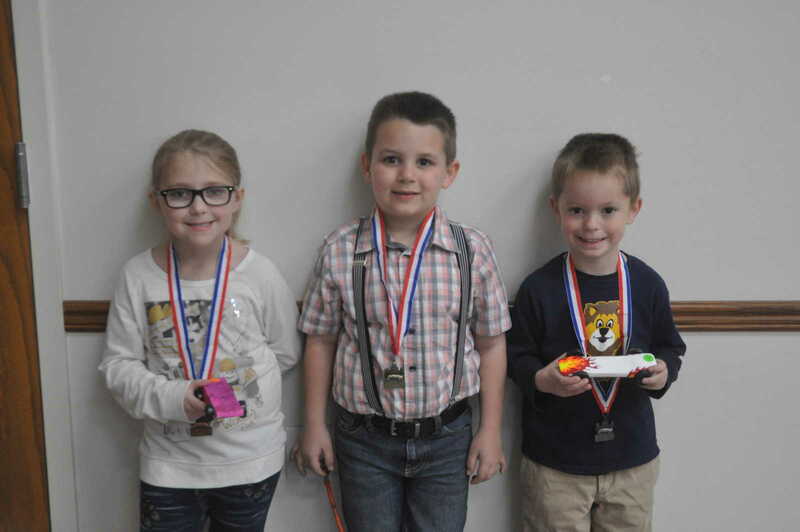 In the Bears Division (third grade) the winners were: First Logan Webb and second Cheyanne Dunivan. 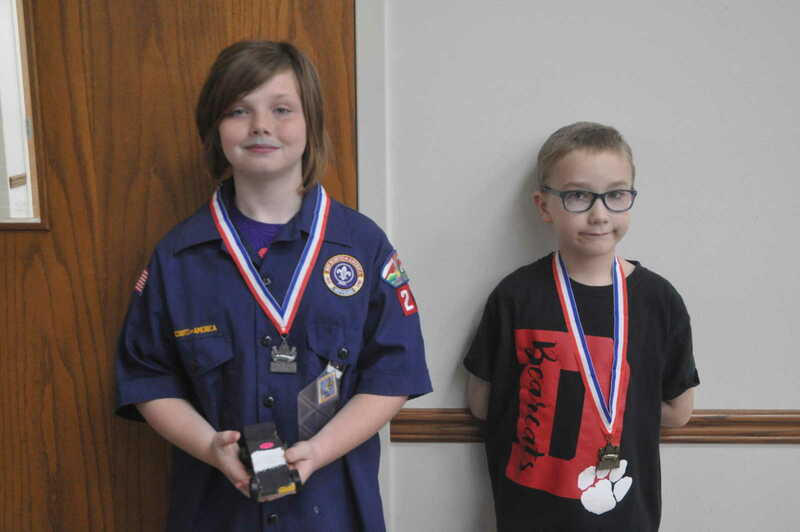 In the Webelos I and II division (fourth and fifth grade) the winners were: First Trey Pedigo, second Ethan Fyfe, third Jaxon Akridge, fourth Landon Lacy, fifth Eli Moon and sixth Aydn Mainard. Lacy, Moon and Mainard are not pictured. 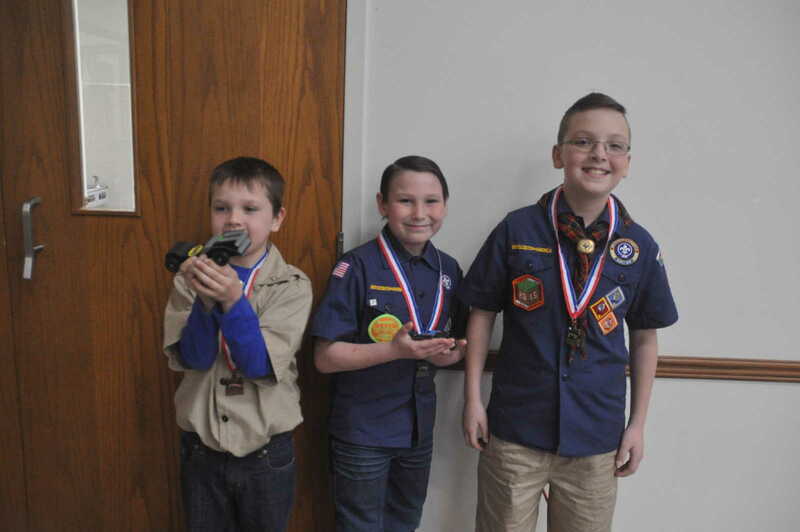 In the Overall Dens competition the winners were: First Place Eben Carr (Wolf), second Trey Pedigo (Webelos), third Percy Sanders (Tiger), fourth Logan Webb (Bear) and fifth Jack Penberthy (Lion). 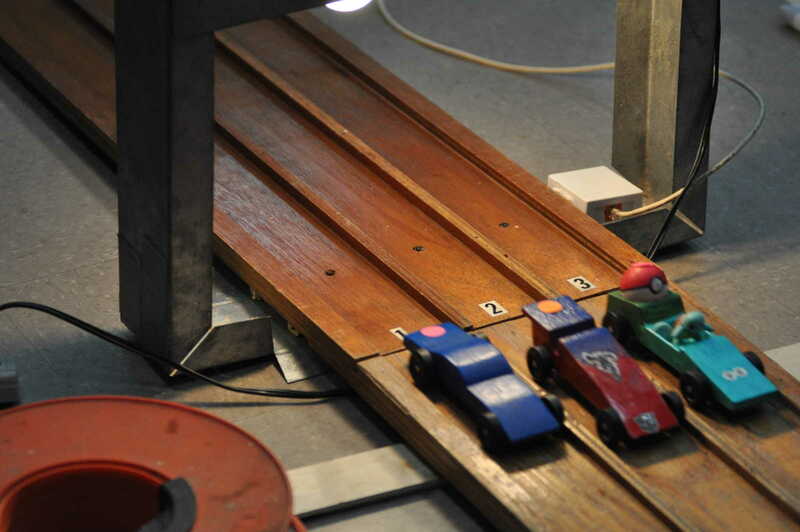 It's a photo finish as three cars cross the finish line. 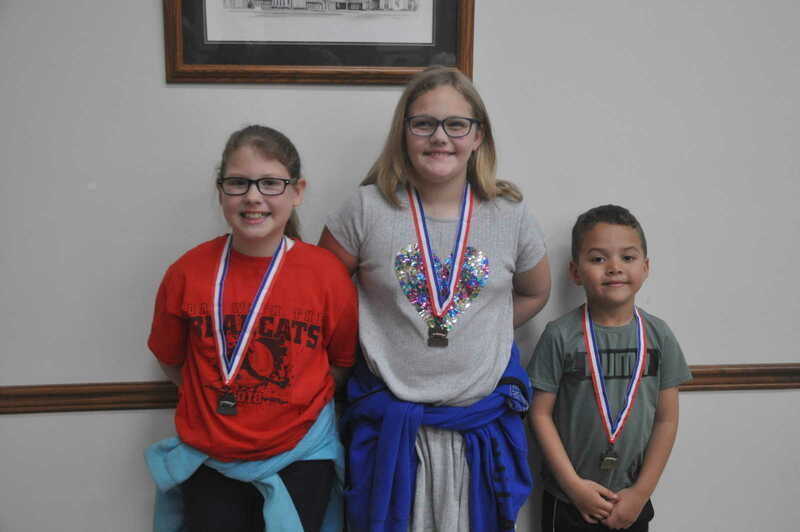 In the Siblings competition the winners were: First place Ellis Carr, second Chelsey Nation and third Grace Barber. 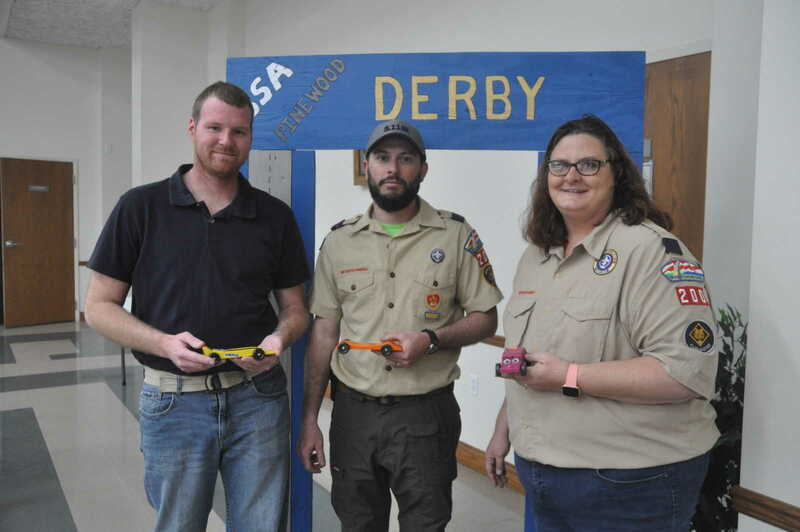 In the Den Leaders competition the winners were: First Jason Thomas (Webelos 1 Den), second Paul Sanders (Tiger Den) and third Christie Kiser (Cubmaster).